Over the years, I have been hired by many novice and experienced racers to co-drive in numerous series’ including Le Mans, Grand-Am, VdeV, Radical, Belgian Touring Cars, British GT, FIA GT, Funcup, Britcar, EuroBOSS F1, Historic F1, Historic Sports Cars and Goodwood Revival. To assist with driver development, I have used many data and video systems and now recommend the Video VBOX and use it for all of my races and tuition. During endurance races, co-drivers also benefit from live pit-to-car radio coaching. An often overlooked area in motorsport is mind management. We often witness even the most talented drivers failing to perform to their full potential when under pressure. Combined with learning and practicing the technical aspects of driving, time is also spent developing mind management skills to enable us to use 100% of our ability all the time and achieve the best results. Two of the many drivers who have benefitted from my guidance and coaching are Julian Thomas and Jono Coleman. Julian is now a race winner! 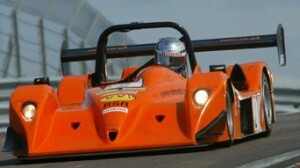 In 2001 and 2002 Jono competed in the Radical Championships with a best result of just one third place. For the 2003 season, Jono hired me as co-driver and driver coach. 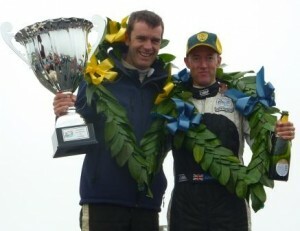 In our first year together, Jono enjoyed 7 outright wins and we were joint winners in the Radical Enduro Championship. In 2005, we won the VdeV Prototype Series in a Norma with 5 wins from 7 races and followed this up with further wins in the VdeV Series in ‘06 and ‘07 in a Ligier. Jono has now progressed to LMP2 in the Le Mans series and was the fastest driver in the Radical SR9 at Spa in 2009.